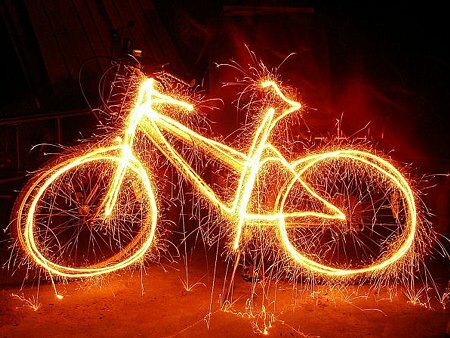 We hope you had a Happy July Fourth! As posted below, CORBA has been nominated for the Mountain Bike Hall of Fame by Hall of Fame member and long-time CORBA Supporter Dr. Al Farrell. The deadline for voting is July 15, and you must be a member of the Hall of Fame to vote. CORBA is in a category with some very well-deserving nominees, all important to the sport of mountain biking. However, considering CORBA’s involvement not just locally in an area that sets the tone for advocacy, but also as a major contributor to the existence and growth of the International Mountain Bicycling Association (IMBA), we feel that on our 25th Anniversary it would be a fitting tribute to all those who have made mountain biking a legitimate open space activity in the United States and around the world to receive this honor. Please go to the Mountain Bike Hall of Fame and Museum’s web site, join, then vote for CORBA for induction into the Mountain Bike Hall of Fame! Please stay tuned as we develop plans for a dinner event to celebrate 25 years of CORBA, our volunteerism, accomplishments and our programs. We are shooting for an affordable and fun evening, along with a documentary/video tribute chronicling CORBA from a variety of perspectives. This has been in the works for several months and we should have final details within the next few weeks. We hope you will mark your calendar and save Saturday, August 25th to come celebrate CORBA and mountain biking in the Santa Monica Mountains and beyond. Stay tuned for specific details…soon. With major support from Shimano, IMBA will publish two special editions of IMBA Trail News in 2012. Copies of ITN Youth Edition will be available on IMBA’s online store, free of cost except for shipping fees. These full-color, print magazines will focus on providing resources for adult leaders of youth-oriented mountain bike programs, plus stories, photos and tips that young riders aged 12 to 18 will enjoy reading. Most applications requesting Trail Care Crew visits originate from mountain bike advocacy organizations. In the 23 visits the Trail Care Crew has made, the stop in central California was only the second time that a land management agency — the Georgetown District of the U.S. Forest Service — made the request. 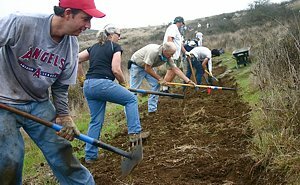 It’s something we think the Subaru/IMBA Trail Care Crews will start seeing more of as federal, state and local land management agencies learn how much there is to gain from working with outside partners. Next CORBA Kids Club ride will be Saturday August 4 at 9:00 am. See our Rides Calendar for details. The next Beginners ride will be on Sunday July 15 at Pt Mugu State Park (ocean side). See our Rides Calendar for details. Come out and welcome Michelle as our new Beginners Ride leader! During the hot month of July, we don't have any trailwork scheduled. But for an interesting story, read about IMBA's Trail Care Crew event in Central California. The County’s objective assessments of the Canyon Trail in Placerita Canyon Natural Area and the Heritage trail in Vasquez Rocks, have been completed. 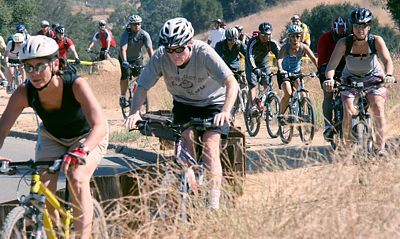 There are many miles of trails in Vasquez Rocks and Mountain Bikers from the Santa Clarita Valley asked for the Vasquez Rocks Natural Area to be considered for multi-use, including all its trails. Instead, only two trails were considered, one of which was deemed to be unsuitable for mountain biking. The County will be hosting a public meeting on Thursday, July 12 to formally present the findings and take public comments. There is expected to be a large and organized opposition from other user groups at tomorrow’s meeting, unlike the first meeting in which mountain bikers made up the vast majority of the attendees. 6pm, Thursday, July 12, 2012. 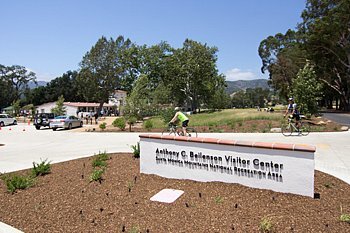 Consider RSVP’ing to the SCV Trail Users Facebook event. And see all the details in the full story on our blog. Saturday August 4 is the next skills clinic.